Should You Worry about Dementia or Is It Normal Memory Loss? Have you ever gone into a room to get something and then forgotten what you went in to get? Many people are afraid this may be a sign of Alzheimer's disease. In most cases, these episodes of forgetfulness reflect either normal age-related memory loss, sleep deprivation, or stress. But when even later you can't remember what you went in the room to get, or even the entire episode of going into the room, then early Alzheimer's might be a real possibility. Studies suggest that the earlier a person with Alzheimer's disease is treated with anti-dementia medications, the more likely the medication will be effective in slowing the progression of the disease. Either from denial, fear, or just lack of education, signs of Alzheimer's are often "chalked up to getting old," and the diagnosis isn't made until much later. So, what are some differences between forgetfulness of normal aging and Alzheimer's? In normal age-related memory loss, you may have trouble retrieving memories from long-term storage. This leads to trouble accessing information, such as remembering names. But these problems may be helped with aids, such as cueing and context. In normal age-related memory loss, you may have decreasing attention and concentration, but vocabulary and understanding of relationships between things don't usually change with aging. In Alzheimer's disease, there is an early and profound problem with recent memory that even cueing and context don't help. So, if we ask you to remember three words, one of which is apple, and ask you in three minutes what the three words were, you might not remember apple even if we say, "One was a fruit." In normal aging, you are likely to recall the word after a cue is provided. If you have Alzheimer's disease, you may not remember the order of things (chronological memory) or who said what (source memory). You may have trouble finding common words (like watch or pen), and you may not even recall that conversations or events ever took place. Other worrisome signs include being repetitive (and not just for emphasis) and not realizing you have a memory problem (lack of insight). There may be intrusions on your memory in Alzheimer's. For example, if I ask you to draw a cube, in a few minutes you may think that I asked you to remember the word "cube." When memory problems look more like those listed above for Alzheimer's, it is time to talk to your doctor. Similarly, when problems involve dangerous behaviors (like wandering outside or leaving the stove on), significant changes in mood, and losses in abilities like dressing and personal hygiene, it is time to seek professional help. Even if the memory problems are minor, seeking reassurance from your doctor may be the best thing you can do. 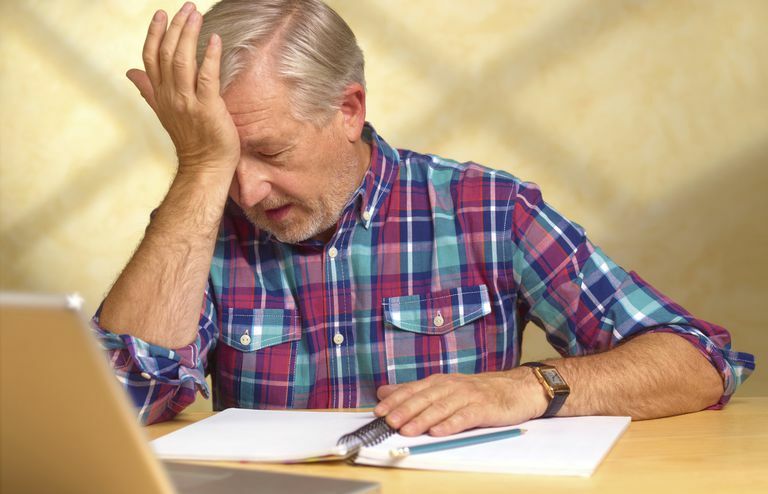 It can be anxiety-provoking to consider Alzheimer's or dementia as a cause of your memory loss, so understanding that minor memory problems may simply be a normal change as you age can be very reassuring. If you're still uncertain about your cognitive changes, ask a loved one what they observe and schedule an appointment with your physician. National Institute on Aging. Forgetfulness: Knowing When to Ask for Help. Welsh-Bohmer, K. "Neuropsychological Characterization of Dementia Patients." CNS Spectr 13: 19 (Suppl 16). October 2008. 10-13.